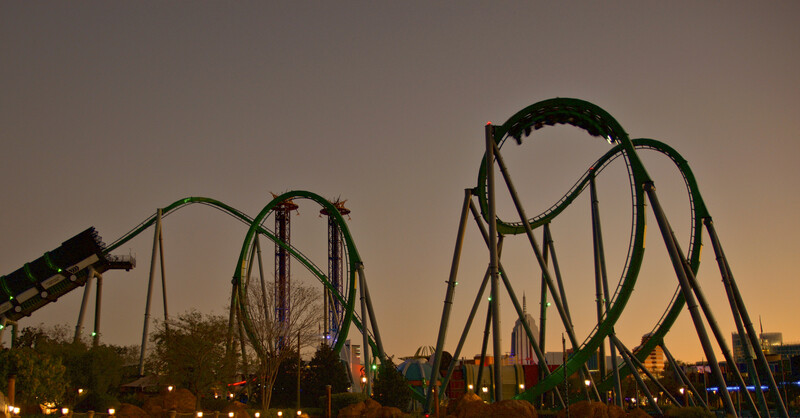 Sean: As we’re finally local we’re logging a bunch of visits to the Universal Orlando Resort. 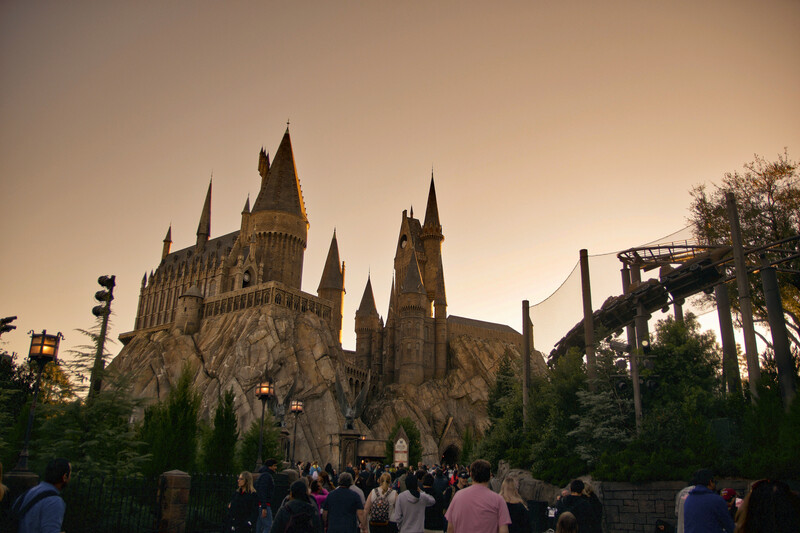 This week we take a closer look at the new Wizarding World of Harry Potter coaster, as well as the Jurassic Park- River Adventure refurbishment. Our first ride of the day was on Revenge of the Mummy, a coaster I get increasingly less excitement out of. I really enjoy the ride, but at the same time can’t help but feel like it is a tad outdated with its effects and polish. It could use a nice refurbishment. 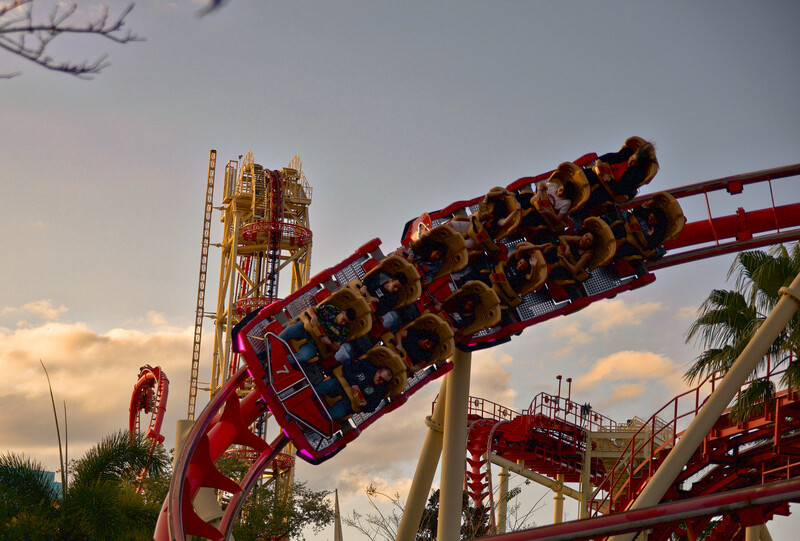 A ride however that has really grown on me is Hollywood Rip Ride Rockit! #HASTA! 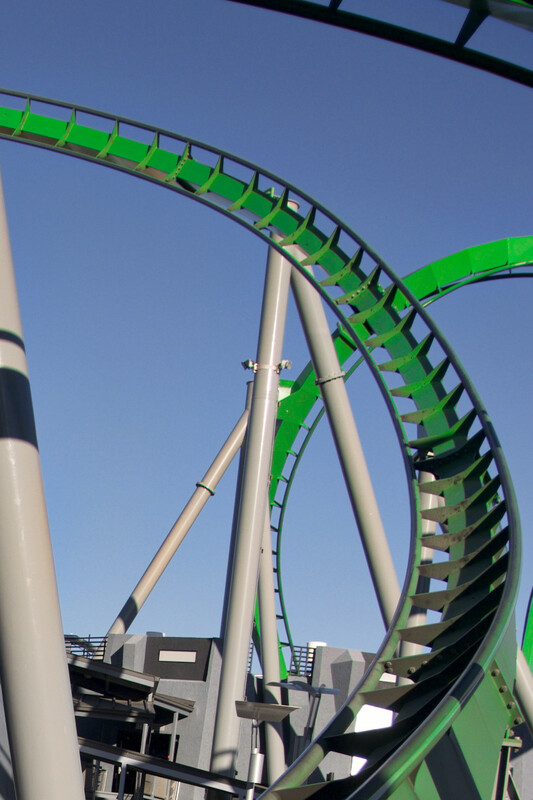 The ride’s layout is nice and unique, it’s still fascinating to me that the twisty layout doesn’t actually include an inversion. 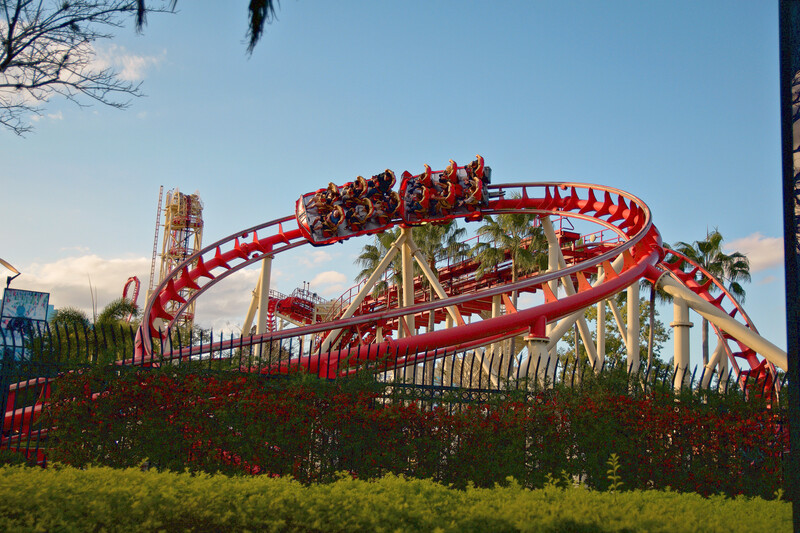 I hope that one day Hollywood Rip Ride Rockit gets a special secondary entrance on CityWalk and will operate past the scheduled park hours. I know that was once a concept for the ride, but it would never be too late to follow thru with that. 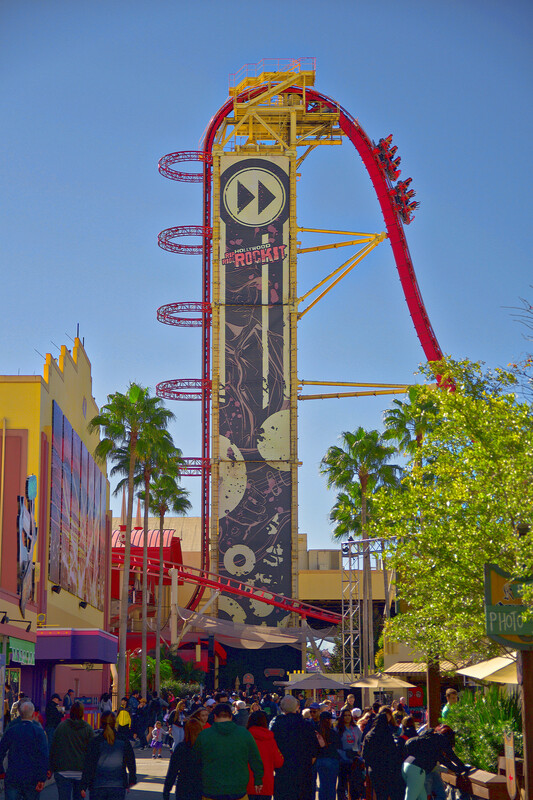 I’m sure lots of our readers are aware, but there is a special song list on Hollywood Rip Ride Rockit available, details on unlocking the secret songs are available here. 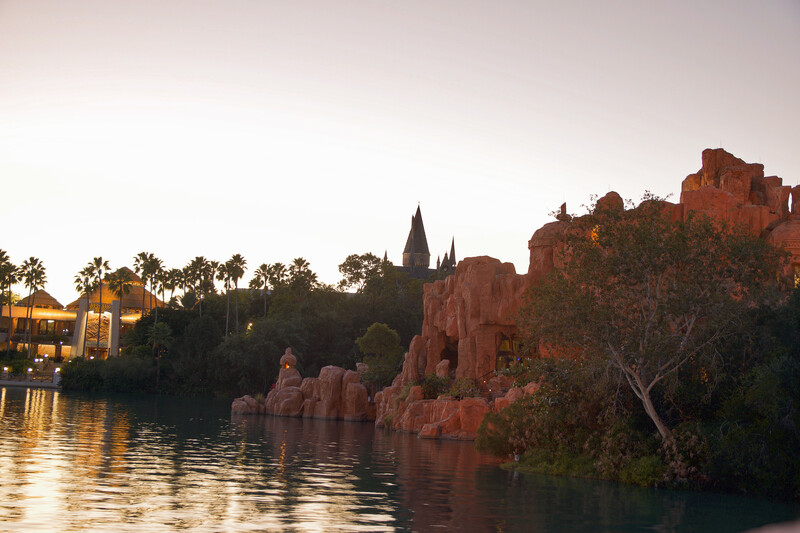 Let’s hop over to Islands of Adventure for the rest of the update. 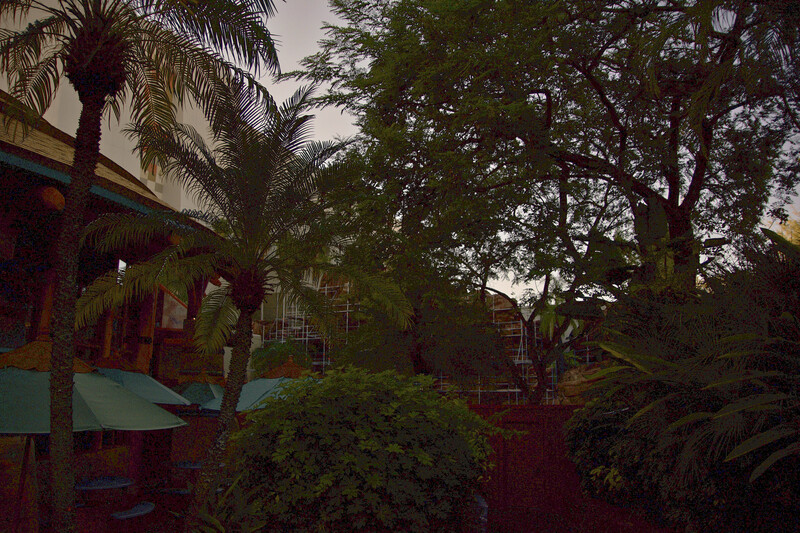 My favorite park to end the day with at the resort is definitely IOA, which just lends it self to sunsets so nicely. Jurassic Park- River Adventure is down for annual refurbishments thru January 25th, after which it will be the primary water attraction at the park once again. Dudley Do-Right’s Ripsaw Falls closes after that weekend on January 28th to undergo a refurbishment (reopening on February 22nd). 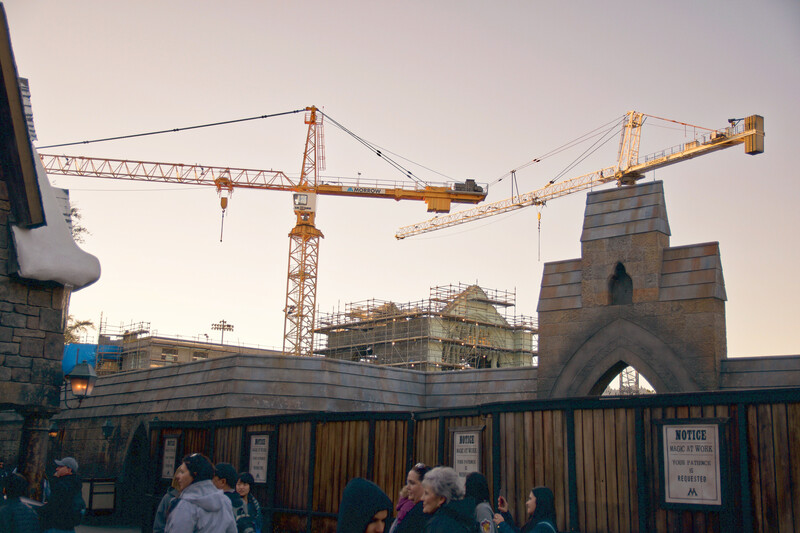 The Wizarding World of Harry Potter will soon welcome a new attraction, one we’re very excited for. 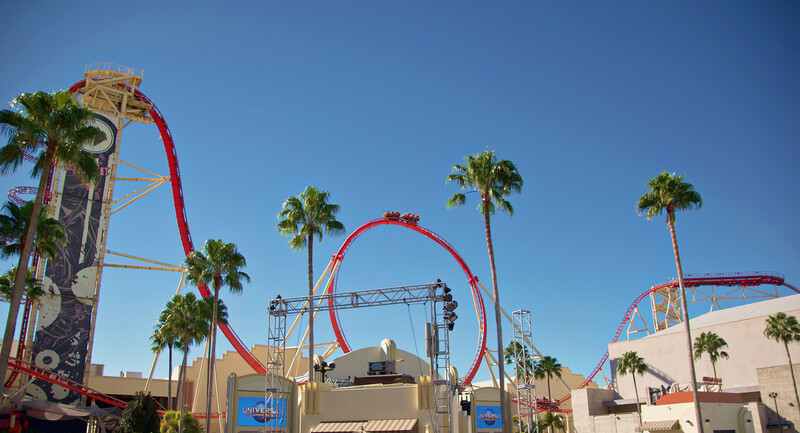 That is the new coaster, scheduled to open in April of this year. 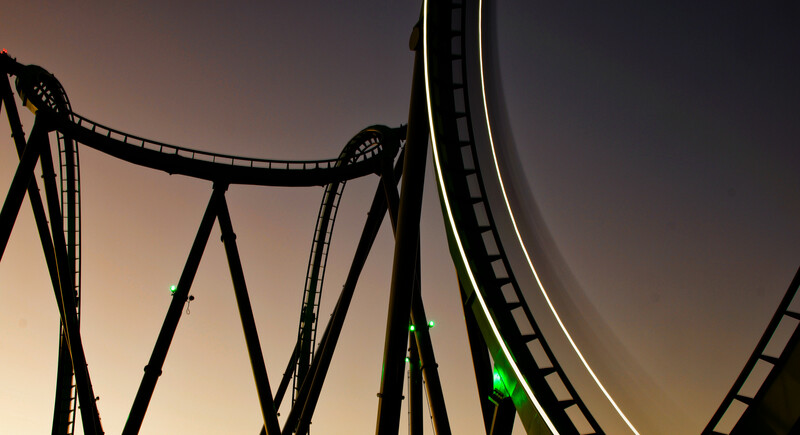 We’ve not received any reports of the ride testing, though the trains were placed on the track a little while ago. 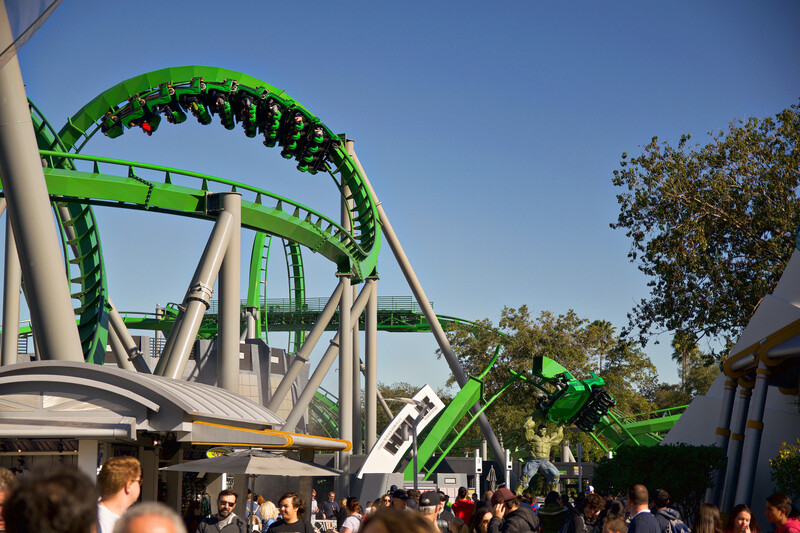 The multi-launch coaster will featured forward and backwards motion, along with dark ride sections and a possible drop-track. The park hasn’t released more than a teaser promo image, revealing absolutely nothing of course. The new coaster will have a great fly by moment through a building that is also likely to house the queue, roughly where the old Dragon Challenge station used to be. 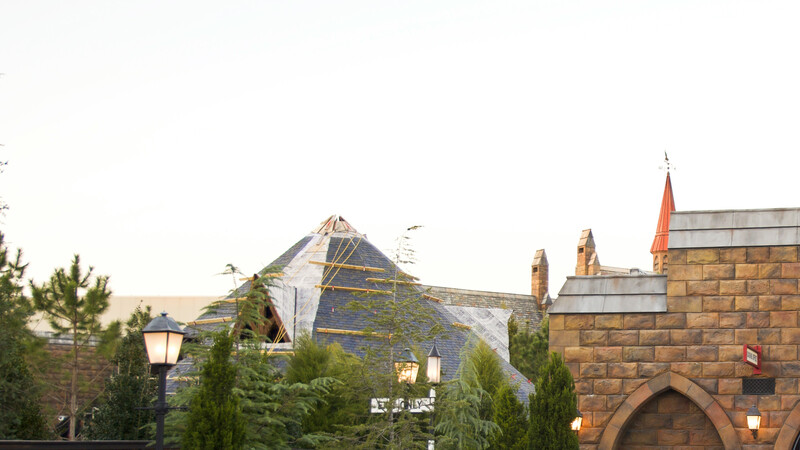 One of the show buildings for the new potter coaster is nearing completion! 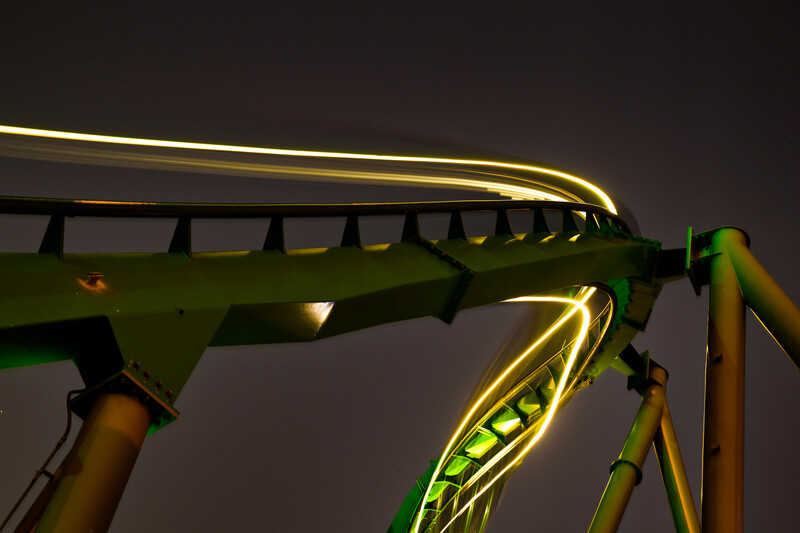 The Incredible HULK Coaster was running amazingly well the last few days, and it’s quickly rising in our rankings. 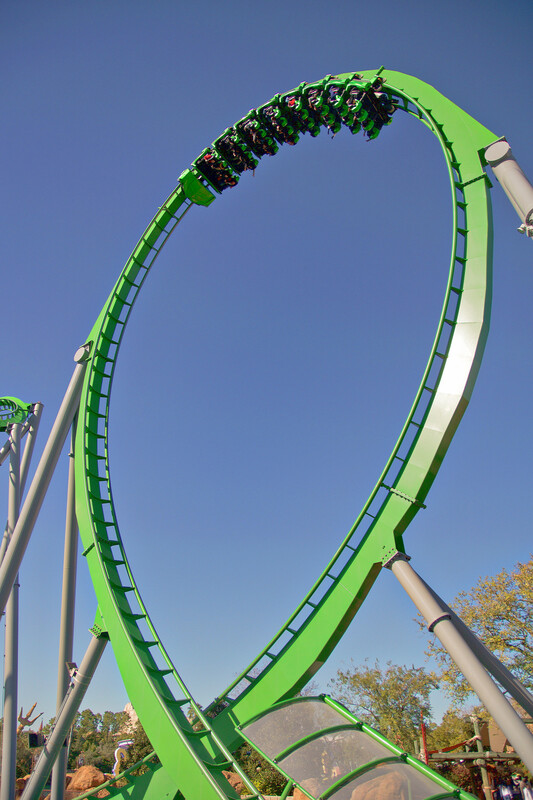 The layout combines both new-age looping coaster elements with some classic B&M transitions and elements. 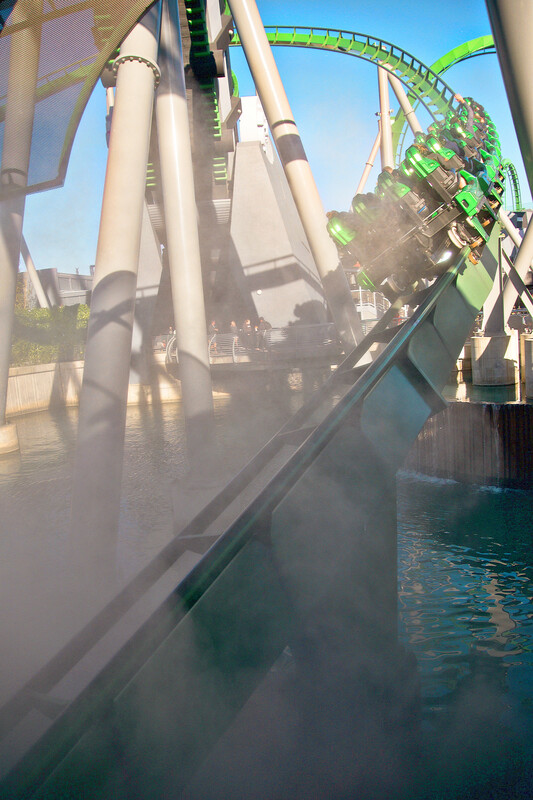 The park recently brought back the Hulk splashdown effect on the bottom of the drop. 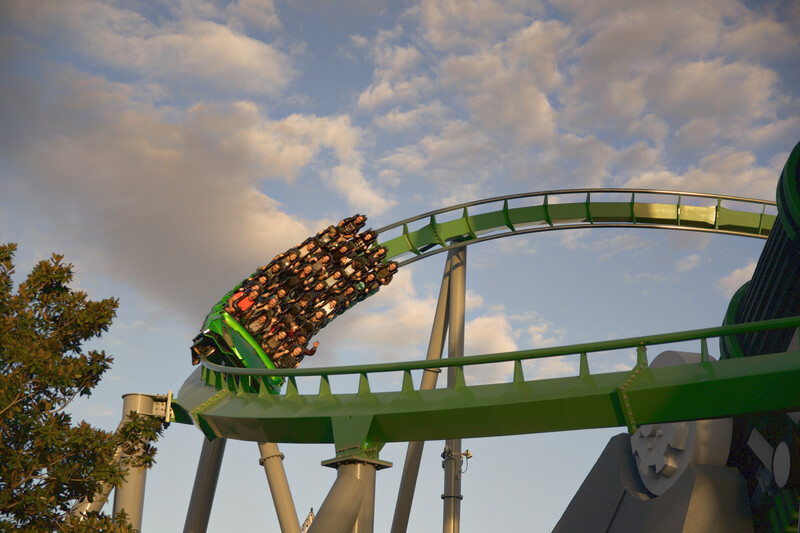 The speed at which it hauls through some of its elements is actually quite unusual for B&M coasters, which usually flow the inversions with much less intensity. CAN NOT GET ENOUGH OF THIS RIDE. 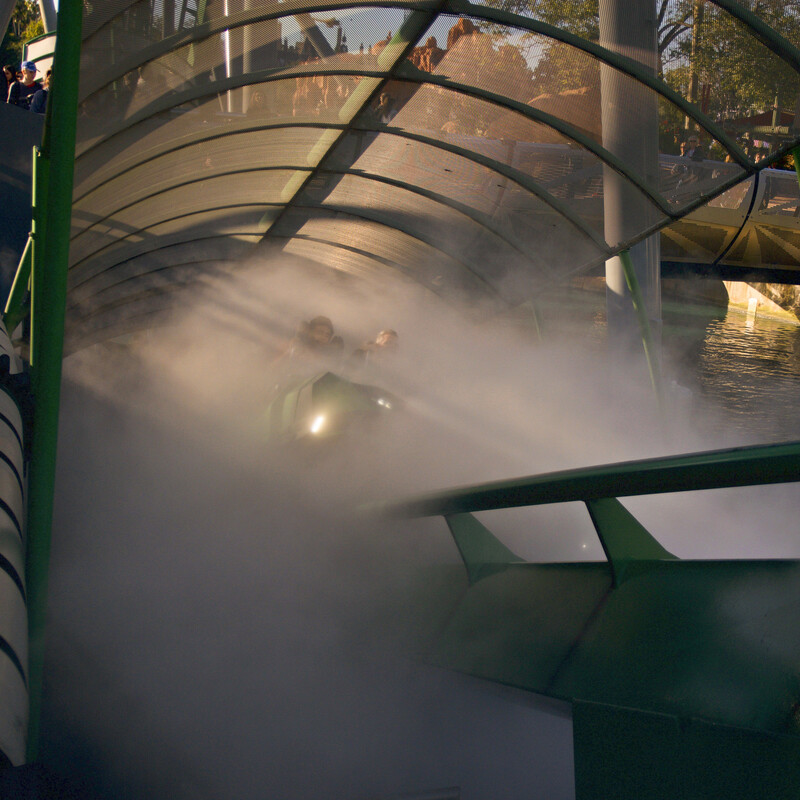 Universal Orlando Resort also brought back the fog effects in the tunnel, perhaps my favorite effect on the ride. If you have a longer wait between cycles than usual, the tunnel gets a nice chance to fill up with fog before a train will burst through. 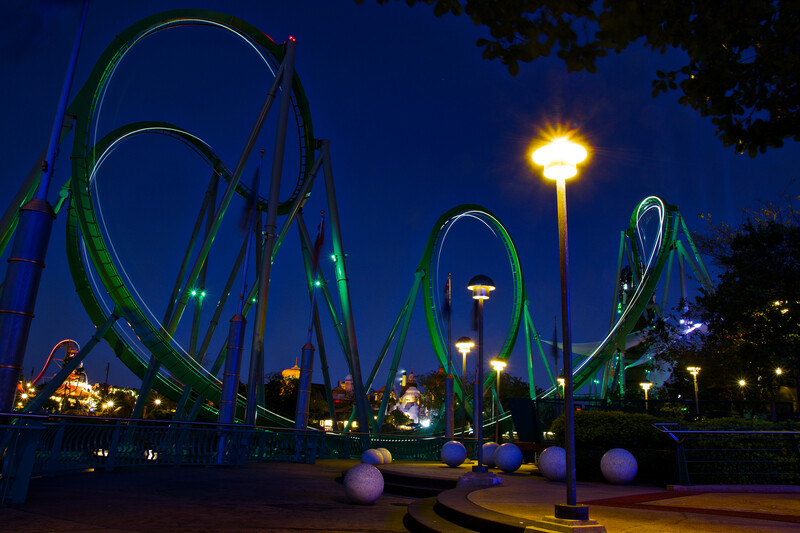 To wrap up this quick Universal Orlando Resort report, we’re throwing in some new long exposure shots of this B&M Beast for you all. 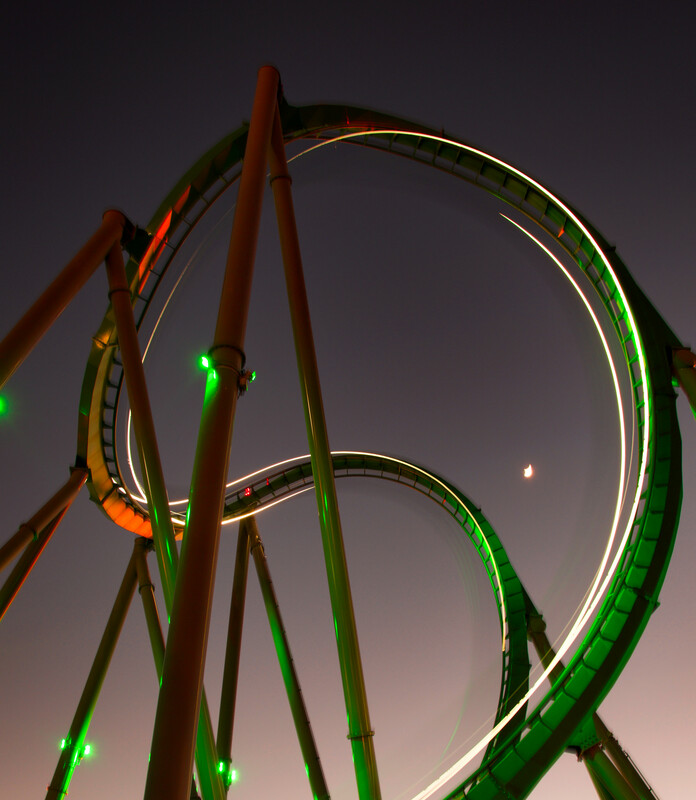 I would definitely say this is our favorite night ride at the park! And with this we’ll finalize our report! Stay tuned for more Orlando-area park updates coming soon. 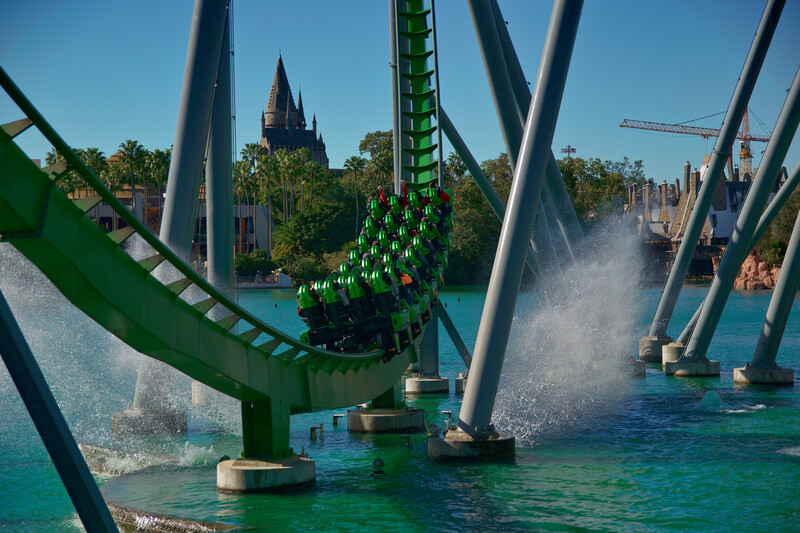 Thank you for checking out this new Universal Orlando Resort update, today’s SeaWorld Orlando Report is now LIVE as well! We recently launched All Disney Parks in the World – Ranked, which we highly recommend you give a read! For now make sure to follow us on our new Twitter!